Geodetic pivot object works only in Sim version of Unigine SDK. In other editions it's equivalent to NodeDummy. A geodetic pivot object is an abstract object that contains an ellipsoid with a pivot point. By using geodetic pivot you can place objects on the scene on the corresponding places in the real world. 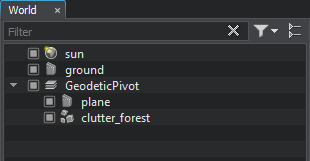 Geodetic pivot helps to place world objects on their real world positions (latitude, longitude and altitude) by curving a plane with objects on it. Pivot converts real geodetic data to Cartesian and simultaneously "curves" objects to simulate the contorted Earth's surface. A GeodeticPivot class to create scenes with geodetic data via C++ / C# / UnigineScript APIs. 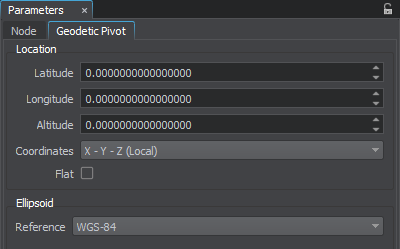 A render_show_geodetic_pivot console command to show geodetic pivots in the scene. Wikipedia article on Ellipsoid . Wikipedia article on Geodesics on an ellipsoid . 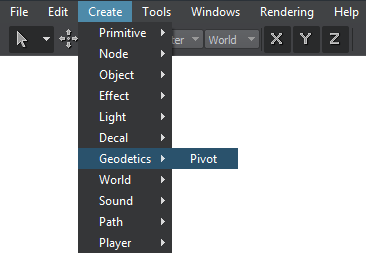 On the Menu bar, click Create -> Geodetics -> Pivot. Place the pivot somewhere in the world. After adding the geodetic pivot on the scene, set up the parameters located in the Geodetic Pivot tab of the Parameters window. Latitude is the north–south position in degrees of a point on the Earth's surface. For example, Tomsk city latitude is 56.4977100. 0 value means equator, 90 value means the North Pole, -90 means the South Pole. Longitude is the east-west position in degrees of a point on the Earth's surface. For example, Tomsk city longitude is 84.9743700. 0 value means a prime meridian (Greenwich). This field supports two ranges: from -180 to 180 and from 0 to 360. Altitude is the height above sea level of a location. For example, Tomsk city altitude is 117 meters. X - Y - Z (Local) disables the binding to geo-coordinates. Geodetic Pivot can be placed everywhere. East - North - Up (Earth-Centric) places Geodetic Pivot to the world ECF position with ENU orientation according to given latitude / longitude / altitude. The Geodetic Pivot position is blocked. Reference is a mathematically defined ellipsoid that approximates the surface of the planet. We offer popular geocentric reference ellipsoids: WGS84, GRS80, Airy 1830, etc. 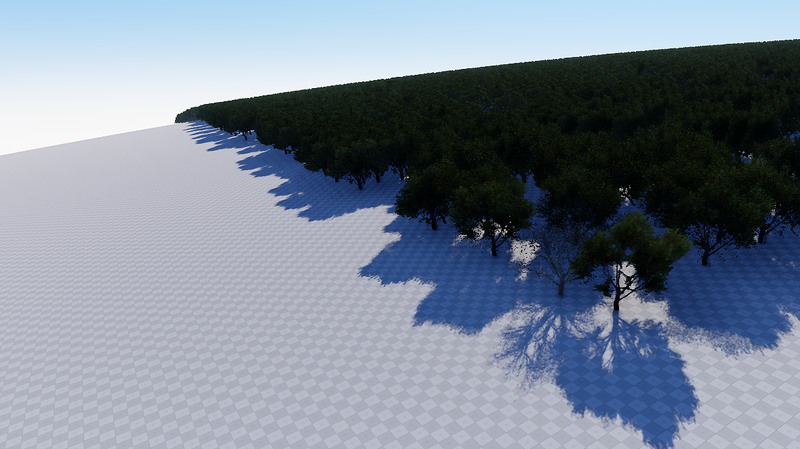 Choose the necessary nodes (static meshes, grass, clutters, etc.) in the Nodes window and set them as children of the geodetic pivot. Specify the necessary settings of the Geodetic Pivot. The update will be performed automatically.